With my recent return from Aura Music Festival, and the plethora of festival lineup announcements that have been coming out lately, I am finding myself more and more ready for festival season. I suppose, for me it has already started, but only because I'm lucky enough to live in Florida, where it's possible to hold an outdoor gathering mid-February. Anyway, festival season is hands down my favorite time of year. Gorgeous weather (although sometimes rainy), road trips, camping, and lots and lots of live music — all crammed into one, almost always too short, weekend. 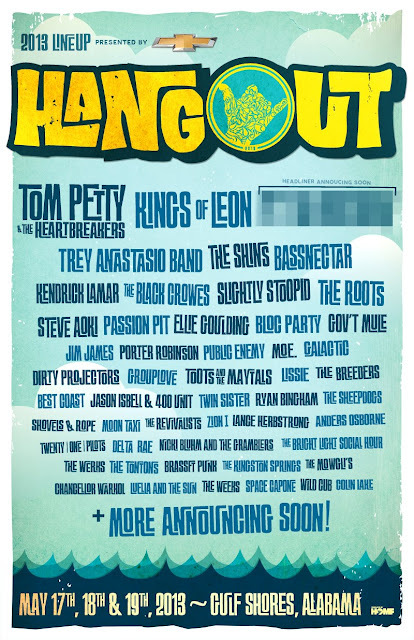 Here are some of the ones I'm looking forward to this year, either due to fabulous lineups or beautiful locations. I'll take pretty much any excuse to go back to The Suwanne, and Wanee Festival is just as good as any. 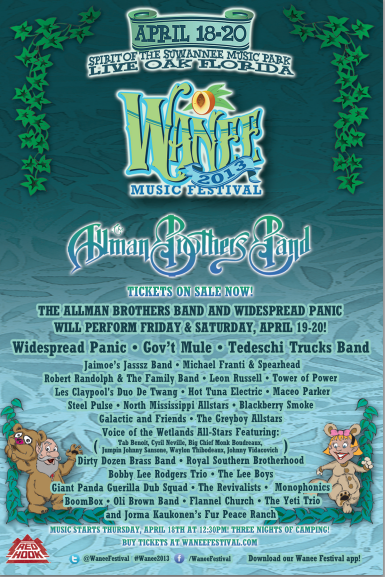 Featuring a wide variety of acts to satisfy any festival-goer, Wanee's definitely got the goods. Four words say it all: festival at the beach. 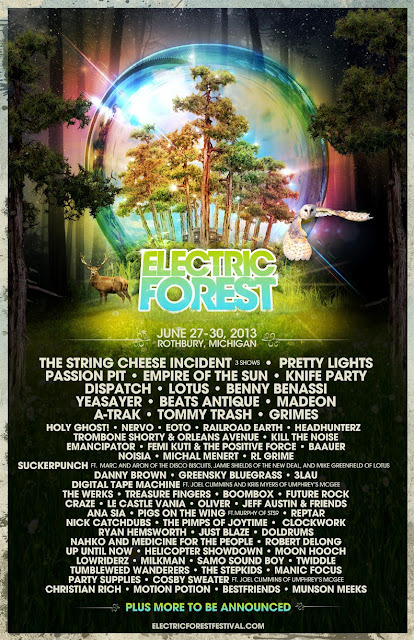 A favorite from last year, Electric Forest has come back hard with its 2013 lineup, featuring a host of newbies. And who could ever forget Sherwood Forest? This is just a small sample of the festivals I hope to attend this year. If I had unlimited funds I'd do them all, but since I'm a broke college graduate, I'll probably have to skip a few and make some substitutions. What festivals are you planning to make? I'm going to start working now so I can have the best festy season yet!